Its means of communication with the transponders is based on RF signals. 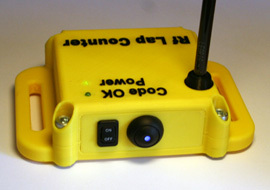 The decoder 'RC3 Bluetooth' works connected to a Smartphone or a PC by bluetooth link. Robust, light and small sized, it can be easily handled or carried. Work connected to . . .
(*) note : To be associated to a bluetooth decoder, the PC will need to have a bluetooth feature.